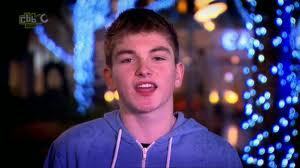 Do tu think Liam O'Donovan should have gone to live with his brother, Jack? la elección de los fans: Of course! He's family! Who here is excited for Friday the 4th??? This día marks the start of a new chapter at the dumping ground following not Tracy (as she left. SE 3 EP 13) but, The kids of the dumping ground! With the same cast ( with the exception of Dani) and some new faces this series sure sounds like some epic stuff! A fansite I made for the three young actrices who play Carmen, Lily and Tee. a poll se añadió: What happened to esme when carmen first met her? a comment was made to the pop quiz question: What did Connor Byrne (Mike) work as before he became an actor? a poll se añadió: Best girl? a poll se añadió: Best boy?